It's still Shrewsbury at the top on goal difference from Tranmere, who have a game in hand, and their lead at the top has now been extended from two to five points after Walsall, who kicked off in third place, were beaten at home by Blackpool who have now gone above them. Tranmere had a nightmare start to the 2013/14 season but have since picked up; they ended last season in fourth place albeit 15 points behind champions Bury, and this season have stepped up again. Shrewsbury, meanwhile, were fifth from bottom last season, winning just eight of their thirty games. It is very much a different looking league at the moment to previous years. Morecambe are bottom again but Preston and then Wrexham now hold the places just above them and both have won this league in recent years and have been considered to have good youth departments. Carlisle and Burnley are not too far away and they too, for several years, were always among the top clubs in the league. Things can certainly change with so few games played. Our draw at Carlisle last Saturday kept us in next to bottom place but with a one point advantage over Morecambe. That extended to four points when we beat Morecambe yesterday, a result that saw us move ahead of Preston and Wrexham on points and both Accrington and Carlisle on goal difference. They were contrasting games for us. We were 2-0 down at Carlisle and facing that deficit with ten players when Oliver Younger was sent off having given away the penalty from which Carlisle got their second. We came back with goals from Tommy Wood and Tyler Shrimpton. It was nearly a reverse yesterday against Morecambe when we lost a 2-0 lead but Wood was on the mark to score the stoppage time winner. Younger, by the way, will serve a one match ban for his red card. Unlike first team football, the suspensions are as they used to be with all football in that they start 14 days after the offence which means Younger will be unavailable for our next league game at Wigan on 10th October. We're not involved in league action this weekend; it's the second round of the Youth Alliance Cup. Having received a bye in the first round we kick off this competition with an away tie at Rotherham this Saturday morning. It's a pity that the first team game is being played on the Friday; it's prevented me taking in both games on the Saturday. The youth game kicks off at 11 a.m. at the Graham Solley Sports Development Centre, Sheffield Hallam University, Bawtry Road, Sheffield, S9 1UA. It's around three miles from the New York Stadium. The cup is regional, north and south, but that means clubs from our league, the North West League are involved with the clubs in the North East League. There are eight ties to be played; six of them are between teams from the two different leagues with one all North West clash and one in the North East which features Oldham who, for reasons unknown, have moved across this year. The recent results are below along with this week's cup fixtures. 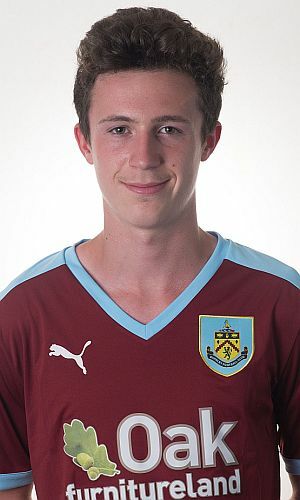 They are followed by Burnley's goalscorers in all competitions and the current league table.